A traditional pattern shop for modern times. South Lincs Foundry Pattern Shop has been producing quality patterns for all types of projects for over 50 years. 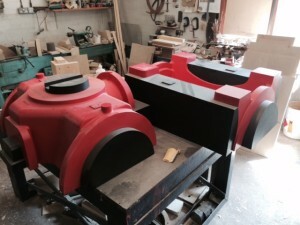 Originally based in Market Deeping, we moved approximately 30 years ago to the current site where we have established an excellent relationship with South Lincs Foundry with whom we now share one site with. 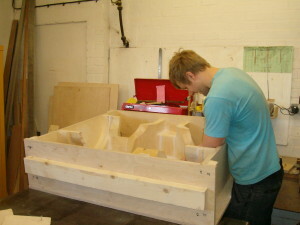 A Pattern maker hard at work producing pattern for a pump body. We have a fully equipped pattern shop that produces quality patterns to the exacting standards required by the Foundry for production. We have a great deal of experience in producing patterns for new prototype work leading on to full production pattern equipment. 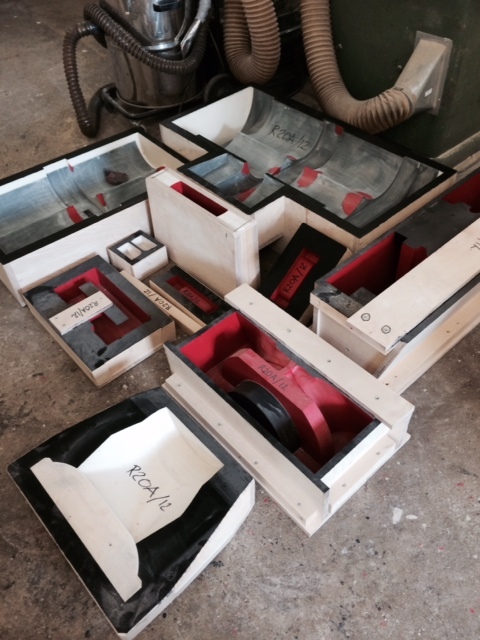 The complete pattern equipment with its core boxes pictured below having had its final inspection is ready for the foundry. Our highly skilled staff have the ability to produce patterns for a wide ranging customer base, manufacturing patterns in various materials including resin, polystyrene, hardwood, grp and aluminium. Completed core boxes for pump body.